The earlier and larger version of this racing greyhound (8¾in. high) was entitled 'Un Lévrier Espagnol, Grand Espèce. The model was first exhibited at the Salon of 1845. 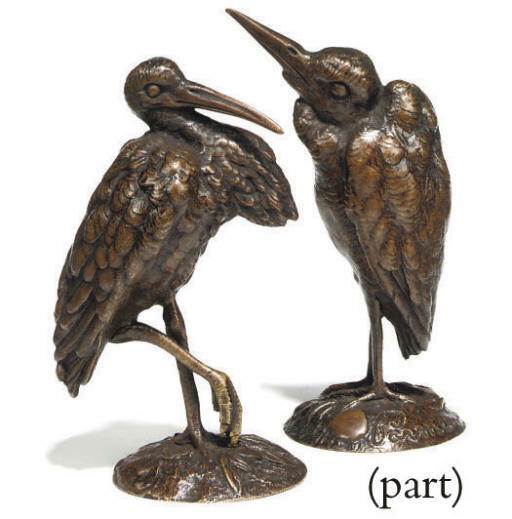 See Jane Horswell, Bronze sculpture of "Les Animaliers", Antique Collectors' Club 1971, page 131. Please note there are 5 items in this lot, not 4 as stated in the printed catalogue.